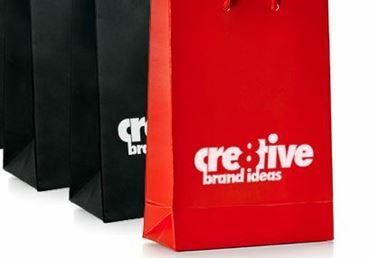 Cre8tive Brand Ideas is a leading supplier of promotional products, corporate gifts, work wear and exhibition/event supplies that will ensure your brand is constantly in the public eye. Using the easy search functions you can browse thousands of the most innovative as well as simple and practical promotional products on the market, and request a quote through the site, or give us a call on the number below to find out current pricing , volumes and lead times.. 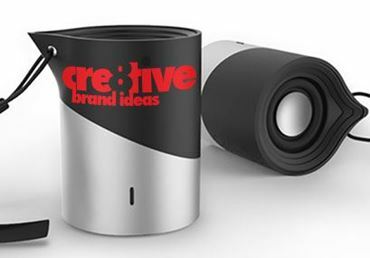 Whether it’s for an exhibition, product launch, seminar or marketing campaign, identifying your target audience is key, with this in mind our team will advise on what promotional products work best for your organisations needs and ensure that once selected your order is delivered exactly as required. Our no hassle guarantee ensures we keep you informed of progress all the way through the process so you can sleep easy at night knowing you are in safe hands. 210d Polyester Fabric with White or Black Plastic Handle. Fabric Can be Printed Full Colour on 1 Side as Standard. Handle Can be Pantone Matched on 2500 Plus. Minimum Quantity: 250. Double-walled, Stainless Steel Metal Thermo Cup with Screw Cap & Lid with Slide-click System, Which Can be Fastened Once Opened. Striking 3d Graphic Diamond Pattern in Plastic, Colour Grip. Non Slip Base. Capacity 300 Ml. Each Piece in Box. Size: 20mm. Pantone Matched. Includes Choice of 4 Fittings: Thumb Trigger, J-hook, Split Ring or Bulldog Clip. Print on One or Both Sides. Optional Extras: Short Release, Standard PVC Holder, Mobile Phone Loop, Crimp or Rigid Card Holder. Express Service Available. Minimum Quantity: 100. Tucson, Soft Iconic Design. 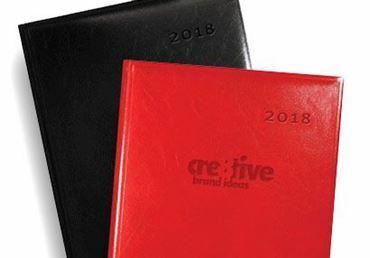 Including Colour Closure Band, Elasticated Pen-Loop, Ribbon Marker, Internal Document Pocket, 240 Soft Ivory FSC Certified Ruled Pages. Size 130x210mm. Available in Grey, Pink, Orange, Brown, Burgundy, Graphite, Purple, Indigo, China Blue, Blue Curacao, Coral Red, Bright Green, French Blue, Forest Green, Bright Blue, Navy, Chestnut, Neon Green, True Black & White. Includes One Position Branding. Minimum Quantity: 50. 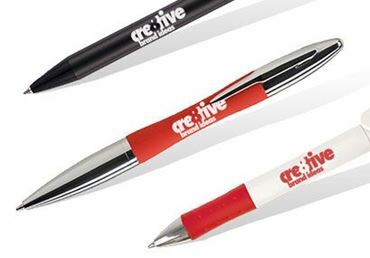 Push-button Retractable Ball Pen with Silver Chrome Trim & Comfortable Black Rubber Grip. Available in Aqua & Black, Dark Blue & Black, Purple & Black, Pink & Black, Red & Black, Orange & Black, Green & Black, Lime Green & Black, Yellow & Black. Black Ink Refill as Standard. Minimum Quantity: 250. Folding Reusable Bag Shopper with 54cm Handles. 190t Polyester. Available in White, Blue, Black, Red Green. Size 38x38cm. Folding into Ball. Available in 5 Days. Minimum Quantity: 100. Push-button Retractable Ball Pen with Rubber Grip. Suitable for Full Colour Digital Print. Black Ink as Standard. Available in White & Blue, White & Purple, White & Red, White & Yellow, White & Orange, White & Green, White & Black, White & White. Minimum Quantity: 250. Combines Both Functions in 1. Wear Nylon Lanyard with Your Entrance Pass, Keys or Business Card & Take Off to Use to Charge Your Devices. Cable has Standard USB Connector & 2-in-1 Connector That Offers Connection for Both Micro USB & Lightning. Minimum Quantity: 50. Inexpensive Pedometer Bracelet That Tracks Basic Fitness Like Amount of Steps, Distance & Calories Burned. It Also Functions as a Watch & the Silicon Bracelet Makes It Very Comfortable to Wear, Even When Exercising. 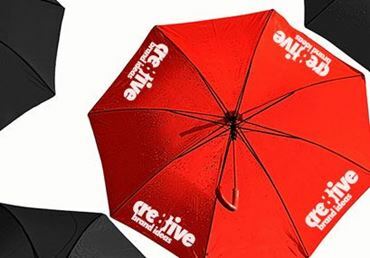 Available in Standard Colours From Just 100 Pcs or Even in Your Custom Colour From 5000 Pcs. Available in Red, Green, Yellow, Blue, White, Black, Orange. Minimum Quantity: 50. Web Cam Covers Are Practical & Safe Way of Protecting Your Privacy. Complete with Sliding Front Section So You Can Slide Open When You Want to Use Your Web Cam & Slide Closed for Security. Made From Super Slim Durable Plastic. Adhesive for Easy Application to Your Laptop or Computer. Custom Printed Backing Card. Available in Black, White & Silver. Minimum Quantity: 250. Capacity: 500ml. UK Manufactured. Available in Transparent Clear Transparent, White, Black, Navy Blue, Red & Silver. Cap Colours: Black, White, Natural, Red, Blue, Green, Yellow & Pink. Cap Available in Both Valve Top & Push Pull Top. Lead Time 21 Days, Express Service Offered. Minimum Quantity: 50. Ultra Slim Design Power Bank with Power Indicator. Includes High Capacity 5000mah Li-ion Polymer Battery with Input of 5v 2a & Output of 5v 1a to Charge Your Devices Fast. Includes Micro Cable. Available in White. Minimum Quantity: 50. Large Capacity Tritan Water Bottle with PP & ABS Lid. Features Popular No Spills Straw Which Folding Down When Not in Use. BPA Free, 800ml Capacity. *wrap around print available upon request (additional Charge Applies) Available in Grey, Blue, Red. Minimum Quantity: 25. Biodegradable Plastic Sports Drink Bottle. Available White & Clear Transparent. 100% Biodegradable. 100% Recyclable. Made From 20% Recycled Materials. Eco Friendly & Safe for Food Use. Full Colour Process Print, Full Wrap. Other Colours on Request, Minimum Quantity 5,000 Would Apply. Minimum Quantity: 300. Perfect for Any Hot or Cold Drink & Can be Used Any Day of Year. Unique Lid Design Means You Can Drink Directly From Secure Cap or Use Straw. Bpa Free, Dishwasher & Microwave Safe. Uk Manufactured. 350ml Capacity. Available in White, Black, Blue, Red, Silver, Yellow, Green, Orange, Pink, Purple. Minimum Quantity: 50. Capacity: 2500 Mah & Input-output 5v-1a. Suitable for Digital Print. Produced at Smeta 4 Pillar Factory & Passes All Required Product Compliance Test. Includes Built-in Micro-usb Charger Cable. Available in White,. Minimum Quantity: 50. Ensure Suitable Power Connection for Any Wall Socket. Can be Digital Printed. Available in White. Minimum Quantity: 50. Functions: Cordless Speaker, Tf Card Play, Aux Input, Voice Call, MP3 Player. Output Power 3w, Play Time 3 Hrs, Lithium-ion Polymer Battery 300 Mah. Including USB Charger Cable. Minimum Quantity: 50. 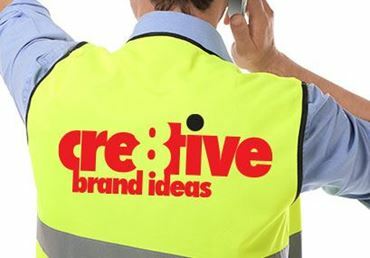 Copyright © 2019 Creative Brand Ideas. All rights reserved.